Last week our team headed to Clerkenwell Design Week 2018. 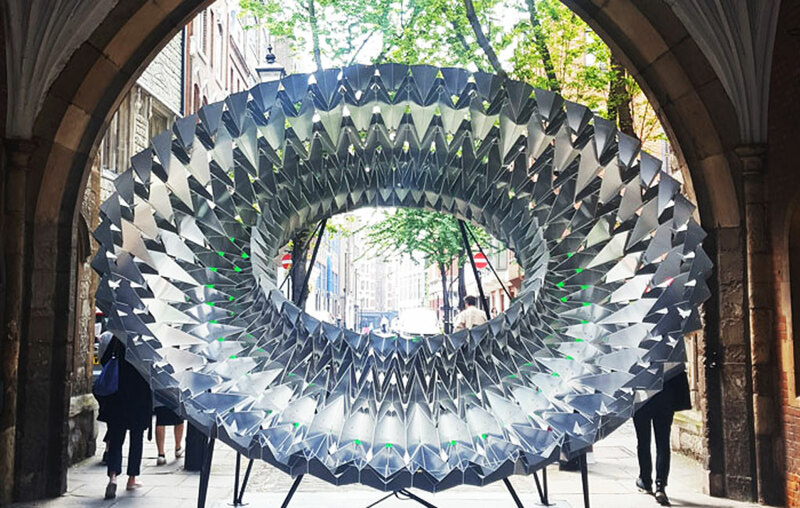 At this year’s event Clerkenwell Design Week organisers, Media Ten, set out to beat the exceptional footfall they achieved in 2017 of nearly 35,000 visitors. A colourful marketing campaign enticed visitors to see over 300 participating companies, including over 90 showrooms, with an extensive programme of talks and product launches. 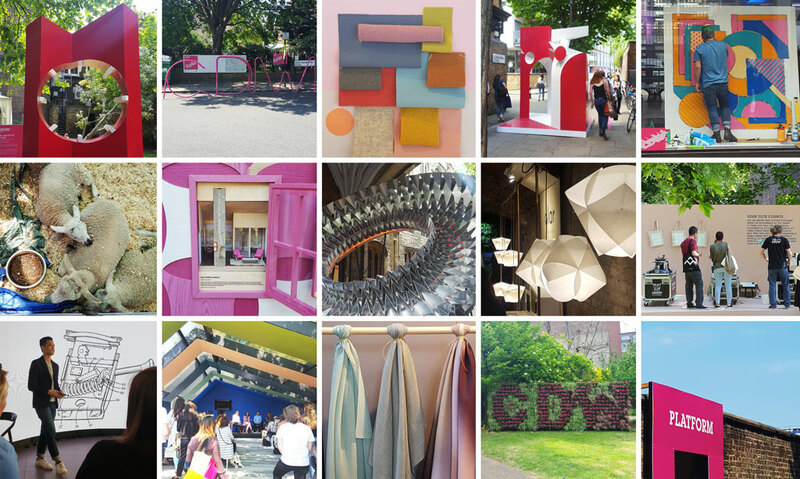 Almost every year we enjoy Clerkenwell Design Week in glorious sunshine, and this year was no different. Sunshine is just one aspect which builds such a wonderful atmosphere at Clerkenwell design Week, also vital to it’s success is the effort every showroom and exhibitor goes to to make their visitors an integral part of their product launches, discussions and workshops. Within the talks programme the hot topic was collaboration. We listened to a fascinating discussion which explored different approaches to collaboration, as well as the examples of successful collaborations between contrasting disciplines. 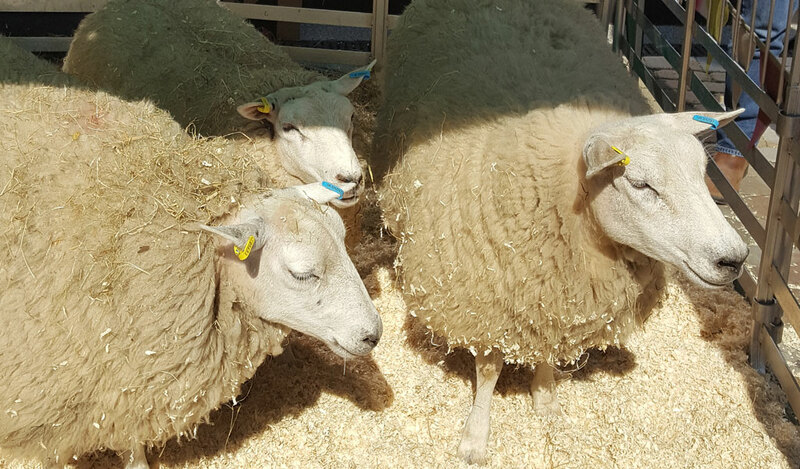 Sheep and lambs are an uncommon sight in Clerkwenwell but our day was brightened by meeting Camira’s flock in Brewhouse Yard. ‘From farm to fabric and everything in between’ was part of Made by Camira, which told Camira’s story as the maker, designer and manufacturer. Our team participated in Camira’s interactive demonstration, weaving our own unique section of fabric. There was delicious coffee served by many of the exhibitors we visited but we couldn’t help enjoy the gin offering this year, from a rhubarb flavoured tipple to artisan gin distilled in Dorset, it was clearly the drink of choice. Clerkenwell Design Week participants are spread across the whole of Clerkenwell providing a challenge to the organisers to create a single cohesive event. The bright pink colour scheme is a great help in achieving this, with clear signage and routes marked on the pavement. Several engaging installations also assist in creating cohesion at the event and our favourites were Royal Approval and Scale Rule. Royal Approval: Royal Approval created by Kinetech Design, in collaboration with Amari Interiors and Timberfusion. St John’s Gate saw the first performances of some of Shakespeare’s most famous works, including Twelth Night, Julius Caesar, Romeo and Juliet, Hamlet and Macbeth. The Master of Revels at the time, Master Edmund Tylney, was responsible for theatrical censorship throughout Elizabeth 1st’s reign and it was in this place that a host of Shakespeare’s plays were piloted. Kinetech Design have drawn on the history of the arch and showcase their strong kiri-origami style, flatterised in a structure that mirrors an Elizabethan ruff. 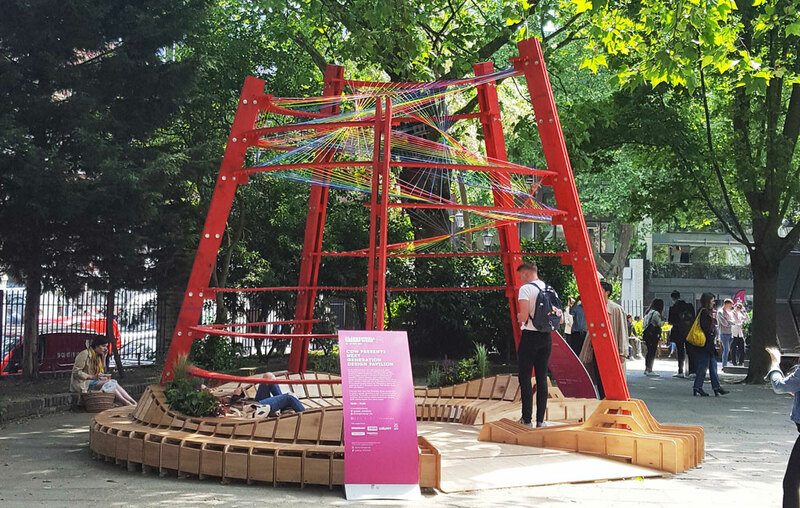 Scale Rule: Scale Rule gave St. James’ Churchyard a focal point through their Next Generation Design Pavilion project, a design conceived by GCSE students from around London. This year’s winning concept responded to the theme of sustainability by proposing a sensitive metaphor: layers representing past, present and future will create a kaleidoscopic oculus, inviting visitors to take a moment to direct their eyes up and become more aware of key natural elements around them. The project is generously supported by AKT II, Grimshaw, Jewson, WUP Doodle and Callprint. During the Milan Furniture Fair this year it was clear that the environment was at the forefront of material development and new product launches. Clerkenwell Design Week mirrored this important trend as well as demonstrating trends for natural materials, both timbers and textiles, and honesty of production achieved through visible fixings. We are already looking forward to what Clerkenwell Design Week 2019 will bring but before then we will be visiting London Design Festival 2018, what should we make sure that we see in September?